Group portrait of the officers and guests of the Bowdoin Club of Boston. 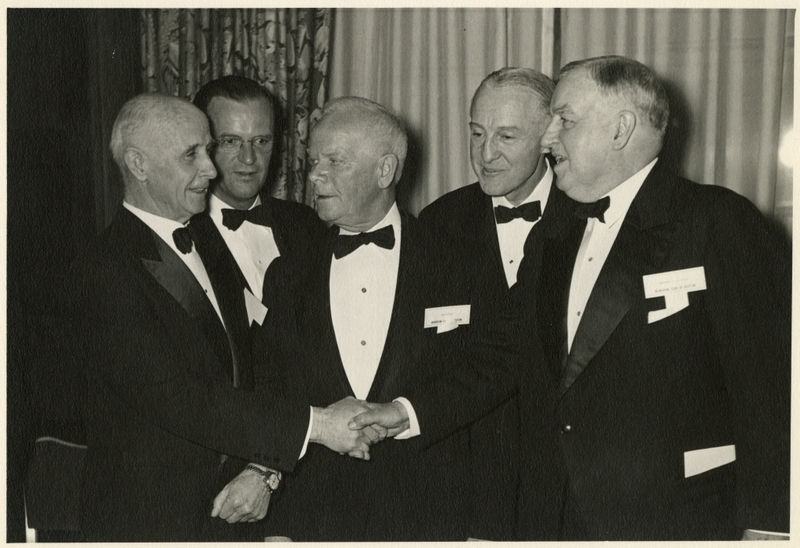 Left to right: guest speaker Commander Donald B. Macmillan (Bowdoin 1898), President Theodore L. Fowler (Bowdoin 1924), Master of Ceremonies Professor Paul Nixon, President-elect Edward Humphrey (Bowdoin 1917), President of Bowdoin College K.C.M. Sills (Bowdoin 1901).